There’s a gold rush on, and it’s still going strong. No question about it, there is much money to be made, and a few participants are raking it in. Like California Gold Country in the middle of the 19th Century, the ones scoring the really big bucks are the digital shovel dealers. Don’t get me wrong, the digital marketplace is the one to be in. From news to social media to movies and television, more and more modern consumers (and even those not-so) are doing their consuming online, through computers, tablets, smartphones and video boxes. Advertisers are increasingly motivated to shift their marketing mixes from “traditional” media like Radio, TV and (ahem) newsprint. But, one only has to look at evidence like increased rubber band sales (I’l explain later), Radio listening levels, and the way TV viewers use the DVRs that sit under televisions all over the country, to see using digital platforms to connect with potential customers makes sense. Unfortunately, in this brave, new digital world, many advertisers, and too many ad agencies haven’t figured out how to separate effective advertising from effectively worthless schemes. It’s difficult to tell the legitimate digital “shovel vendors” from charlatans all too ready to steal hard-earned money marked for expanding a company’s profits. Unfortunately, that situation is going to be very slow in changing, and the waste will be incalculable. Traditional advertising has been based on interrupting the content consumption process, whether it be a radio station requiring a listener to sit through a seemingly exponentially expanding quantity of :30 and :60 second commercials to hear their favorite song, or a TV station sticking spots in between acts of a favorite drama or comedy. Newspapers rely on distracting their readers with pictures and bold headlines hawking products they may or may not be in the market for. These platforms rely on a business identifying the content their customers may be looking for, and hoping they can interrupt that consumption in such a way the consumer shifts their attention from doing what they intended to do, to doing what the advertiser wants the to do. When Television was born, the programming offered on the new medium was, for the most part, Radio shows with pictures added. That’s human nature. In the early days of something new, we tend to use that new tool pretty much liked we used the old one, while experimenting and learning about what the future holds. Advertising is no different. Too many advertising dollars end up funding hideous pop-ups that cover up what the internet consumer is trying to enjoy, until the user interacts with the ad enough to figure out how to make it go away. The hope is, the pop-up catches the consumer’s attention, not only making them forget about being thwarted in their effort to read, watch or listen to the content, but also interesting them in the product being offered. Banner ads work on the distraction method, but let’s face it, consumers are getting good at not being distracted, not to mention how easy it is to install ad block plugins that take the offending ads completely away. Everything starts with Search. A quick glance at any successful website’s referer logs will show that a great deal of traffic comes from Google, Bing and Yahoo, search engines that help digital consumers find the content they are looking for. Google, the industry’s leader, does a lot of cool, cutting edge stuff. They get a lot of attention developing new technologies, whether head-mounted screens or driverless cars, but Google’s revenue comes from search advertising, delivering ads on query response pages or affiliated websites delivering content that matches what the consumer is looking for. Done right, search advertising works, provided no one in the process is fraudulently gaming the system (more on this later). Another effective form of digital advertising is closely aligning product marketing with content consumption. A good example of this might be a website that specializes in product reviews. If a consumer is looking for a new smartphone, their web browsing may lead them to a site reviewing appropriate phones, and providing links that can be used to purchase the devices, earning the site’s owner a commission when the site sends the consumer to a site that sells the products reviewed, which may or may not lead to a sale. I believe there are huge opportunities in this form of advertising, and as long as content creators are above board and disclose their financial connections with the product, it’s entirely legitimate. Smart marketers don’t try in any way to influence reviewers to only voice good opinions of their products. They know that almost all exposure is good exposure, a lukewarm review sometimes being more effective than a glowing recommendation, adding authority to the process and lending even more credence to the good reviews. In building web traffic and awareness of a brand, the more a product is mentioned, the better, even if that mention isn’t five-star. Interestingly, contextual advertising can be very effective in traditional media as well, and those advertisers who use it in the right way are reaping big returns, which I’ll cover in a future post on this blog. Unfortunately, a lack of understanding of how to measure the results generated by digital advertising is allowing unscrupulous outlets to waste their customers’ money, making it look as though the advertiser’s goals are being met, when in fact, their efforts often accomplish nothing more than enriching the publishers of the platforms. Just like a brand new gold miner lacked the technical sophistication to tell a high-quality steel pick and shovel from cheap aluiminum hardware, a digital advertiser often can’t discern whether the money they are spending is actually leading to product exposure and sales. Advertisers need to be very clear with the platform they’re spending money with about what success looks like, whether than metric is sales, exposure or, (and in my opinion, most importantly) engagement. A case in point involves a media company in recent years, that convinced advertisers the views and exposure generated by their platform were worth the dollars being invested by their advertisers. The problem was, the traffic being reported to the advertiser was completely faked. Web metrics usually measure how many visitors visited the site, when in reality, they are measuring how many times the platform’s servers are sending the page to a web user’s computer. A “view” doesn’t necessarily mean the user ever saw the page. In this particular case, the advertising platform had struck a deal with a (sadly) successful pornographic website network. The pornographic websites included a few lines of code that embedded the company’s websites as part of the adult content, “displaying” them in invisible frames that measured one pixel by one pixel. Web users couldn’t possibly see the advertisers’ ads, since the pages the ads resided on were reduced to the size of a single pixel among millions on a page, and then rendered invisible. The software that measures the distribution of the website can’t tell the difference between what is and isn’t seen, only what is delivered to the user’s computer. The result was the appearance of a much greater volume of traffic than was actually earned, which increased ad rates for all clients, even though no advertiser benefited in any way from this arrangement. 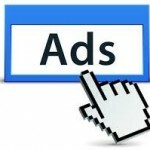 In the short-term, the result is simply that the advertising dollars spent are wasted, but without tracking and vision of what success looks like, the much more important long-term ramification is the conclusion on the part of the advertiser that digital website advertising doesn’t work. As long as digital advertising campaigns are simply thrown together without any thoughtful strategy, or any understanding of what constitutes success, and are based more on the inventory available, rather than what the client needs to accomplish, advertisers will be wasting their money. The accumulation of these failures will eventually damage the credibility of the digital advertising platform, and the industry will lose a potentially game-changing opportunity to reach users where they live. Stamping out the waste and fraud that is dragging down digital advertising industry as it exists today is imperative. Fortunately, the platform is, by its nature, open for the world to see. Because the primary tool used to consume websites, the internet browser, is really just a rendering agent that interprets the typographical and stylistic code used to describe how a site is to be displayed, it’s often a relatively straight-forward operation to uncover these shady manipulations. Anyone with sufficient skill to design and code a modern website, and a talent for basic, logical thining can uncover these nefarious tactics. The digital advertising community must support those who uncover these things, and will have to self-police to make sure digital advertising dollars are spent fairly and effectively. It’s the only way the platform will remain viable and grow as it should. A fairly large industry, devoted to helping unscrupulous website managers artificially inflate their numbers has developed. Fake traffic is quite inexpensive, and ironically, often starts with real people, usually in third-world countries, who are paid pennies to browse sites that have paid for traffic. An advertiser can ask for website referer logs, if they suspect something isn’t completely legitimate. Heavy usage of a local, regional or even national website from China and the Philippines is a red flag suggesting bought-and-paid-for fake traffic is involved. Searching the source code line by line of websites that send lots of traffic to a platform an advertiser is paying to advertise on may yield clues in the form of embedded code snippets or iFrames that generate fake traffic. Again, the web is for the most part, all in plain sight, and it’s not too difficult for a knowledgeable coder to uncover what is going on, and how the suspect traffic is being generated. The advertising community must do what it can to stamp out these abuses, and support the viability and integrity of this new digital advertising platform. Doing this will help advertisers reach more customers, and will help develop an important and lucrative advertising platorm. Failure will set us all back, and kill a potential golden goose forever.